Ali writes: With Sustrans BIKE TO SCHOOL WEEK running 9-13 June 2014, and National Bike Week following on the 14th June, we loved this local Reading Story about The Reading Bicycle Kitchen! The aim of the BIKE TO SCHOOL project is to raise awareness amongst parents of the benefits of cycling to school, such as cost savings, environmental benefits, keeping active etc and also about the campaign. Crucially Sustrans wants more people to know about the campaign and to email your MP, demanding they do more to make the school run safer. 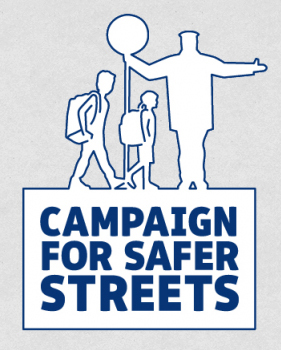 The Campaign for Safer Streets page on Sustrans website has a tool which allows you to easily email your MP. It’s VERY clever…. Just fill in your details below and your MP’s details will appear on the next page. You will be able to review and edit the message before it is sent. So click here http://www.sustrans.org.uk/safetoschool to send your message, it takes 20 seconds! 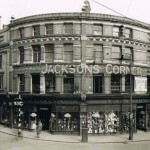 Having grown up in Reading, Berkshire, I was saddened to hear last year that after 138 years of business, Jackson’s, Reading’s iconic department store was closing its doors to the public. Many of us wondered what would become of this local landmark (cries of “meet you at Jackson’s Corner!”) So I was more than a little delighted, and intrigued to hear that the not-for-profit community interest company Reading Bicycle Kitchen have moved in! Reading Bicycle Kitchen is funded by Reading council’s Sustainable Travel Fund. It’s aim is to serve the town by providing affordable access to bicycle tools and knowledgeable mechanics. It’s founder is Dave Sage, a secondary school teacher, who came up with the idea after he was knocked off his bicycle in Reading. He has rallied a group of volunteers to get the space ready for Reading Bicycle Kitchen’s Grand Opening on Saturday 14th June (10am-4pm), also the start of National Bike Week. Locals will have a chance to see inside the Reading Bicycle Kitchen at Jackson’s on 14th June during the Opening Celebrations (10am – 4pm). Reading Bicycle Kitchen will then be open Thursdays 6-9pm and Saturdays 10-4 for drop-in bike maintenance sessions. Check out Reading Bicycle Kitchen website for further information.